With SmartRecruiters you have plenty of choices for third-party tools and services that best meet your hiring needs. 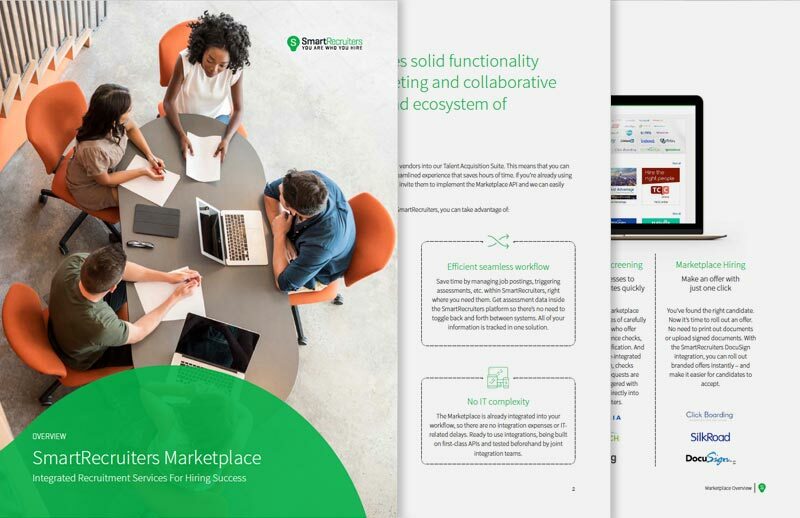 Through our Marketplace, you can use them from within our platform, which creates a far more streamlined experience that saves hours of time. 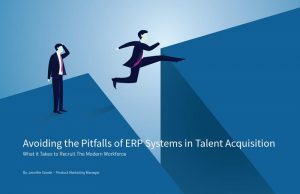 More than 350 products and services for sourcing and screening top candidates are now available. If you’re already using a specific vendor, odds are they’re in our Marketplace. If not, we can easily add them at no extra cost. All your recruitment needs. One place. 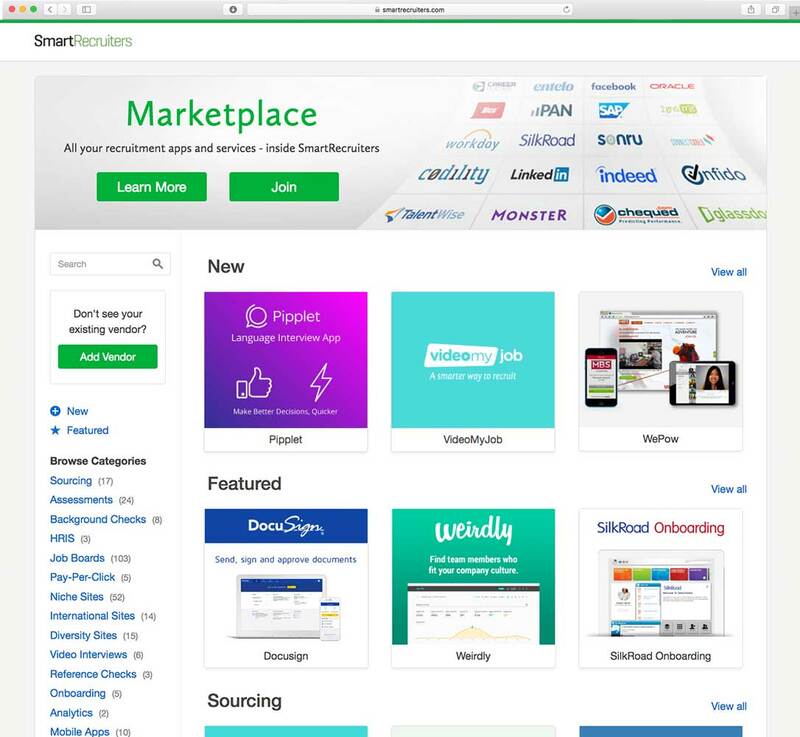 SmartRecruiters is not only a best-in-class talent acquisition suite, but also includes a “shopping” site to easily access tools, apps, and services from leading third-party suppliers. Save time by managing job postings, triggering assessments, etc. within SmartRecruiters, right where you need them. There’s no need to toggle back and forth between systems. With SmartRecruiters, you have all the information you need to understand the impact of your sourcing spend in one place: spend, pipeline, and review data in one simple dashboard. The Marketplace is already integrated into your workflow, so there are no integration expenses or IT-related delays. Ready-to-use integrations built on first-class APIs and tested beforehand.